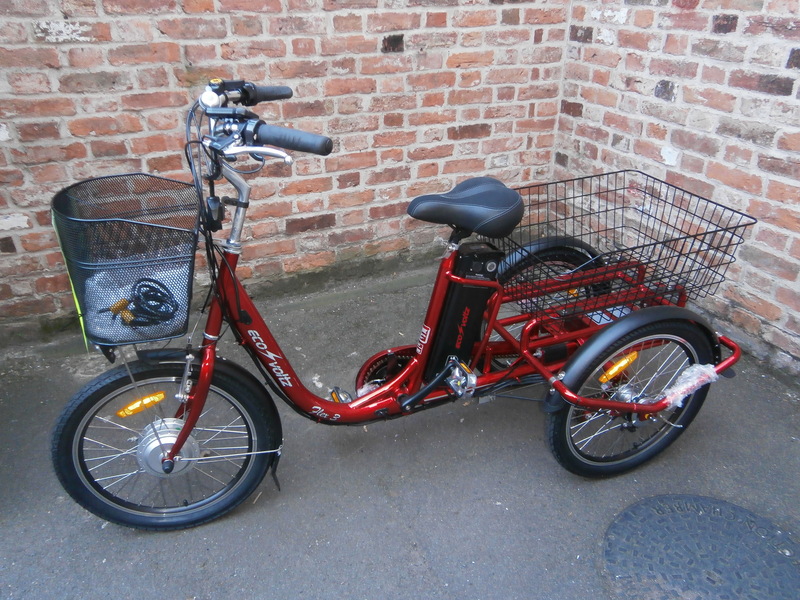 Just arrived from our suppliers, Eco-Voltz, the all new Flex 3 Pivoting electric assisted TRICYCLE. For those of you who are not aware if you get a good speed up on your tricycle, you have to have your wits about you and learn to lean the opposite to where you steer. NOT ANYMORE!!. 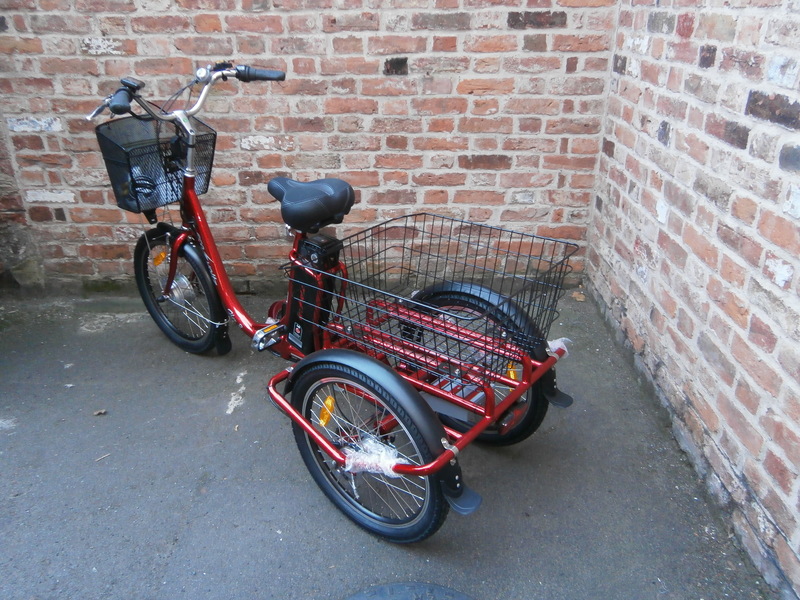 This great tricycle has a lever on the handlebar that enables you to release a lock in the frame that allows the trike to tilt, so, no more leaning the wrong way at speed. This also works the other way so if your are an experienced tricycle rider or are stationary you just lock the frame at the flick of the lever. Top engineering!!. 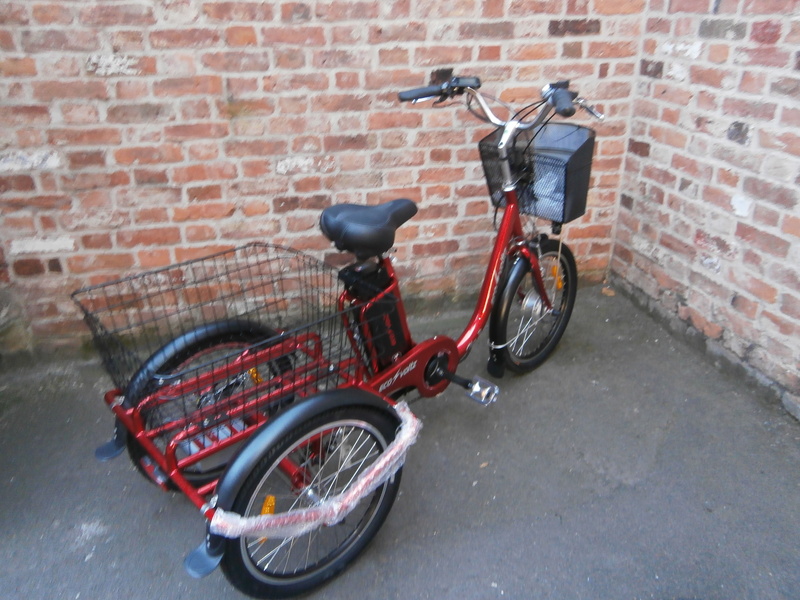 It is also slightly narrower than a regular tricycle so it fits through a standard door. Oh and did I mention it was electric assisted? good for up to 30 miles on a charge (depending on terrain and size of rider) with its LG battery. A walk assist/hill climb lever and helping you move along up to 15mph assisted’ what’s not to love? I know its not for everyone but, if this was one of the few ways you could move yourself independently and still be getting some movement and exercise along with maintaining your independence who wouldn’t? For those that don’t know, Bike Pedlars and S&S Cyclefix work very closely together and are happy to support your event or fundraiser in a professional “bike Dr/support” role when we can. 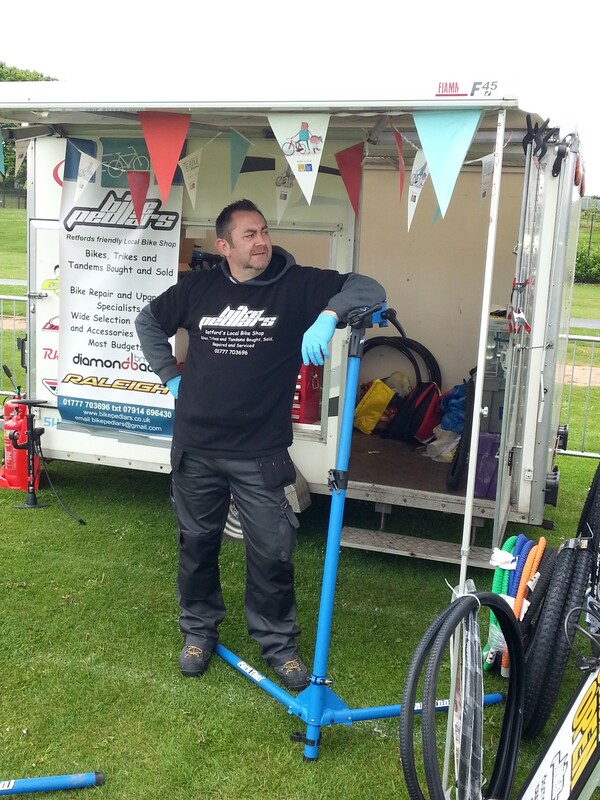 In the past we have supported the British Heart Foundation with their cycle event at Clumber Park and just the other weekend we could be found helping out and supporting the very first Cycle Fest at Shirebrook for Bolsover District Council and Extreme Wheels.